Autumn is spooktastic. 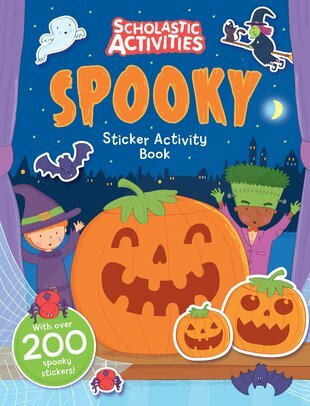 200 stickers, games and fun ideas for Halloween and dark nights. Some people complain when the spooky winter nights draw in. Not us. We cheer! After all, we’ve got this sticker activity book. So we know that darkness is fun! Decorate Dracula’s castle. Design Halloween outfits. Decorate pumpkins. Spot hidden ghosts. A whole book of stickering, doodling and colouring. Set free your spooky side.